Today we recall as a memorial the feast day of Saint John Vianney, the patron saint of parish priests. We typically pray for our priests in a particular way today. But our prayer for priests raises questions about the nature of priesthood and what we hope for in our priests and their service to the Church. The ministry of the priest is, certainly, to proclaim the word, to celebrate the sacraments, to guide the Christian community in charity “in the name and in the person of Christ,” but all this he does dealing always and only with individual human beings…. In order that his ministry may be humanly as credible and acceptable as possible, it is important that the priest should mold his human personality in such a way that it becomes a bridge and not an obstacle for others in their meeting with Jesus Christ the Redeemer of humanity. It is necessary that, following the example of Jesus who “knew what was in humanity” (Jn. 2:25; cf. 8:3-11), the priest should be able to know the depths of the human heart, to perceive difficulties and problems, to make meeting and dialogue easy, to create trust and cooperation, to express serene and objective judgments” (PDV, 45). “… to be balanced people, strong and free, capable of bearing the weight of pastoral responsibilities. They need to be educated to love the truth, to be loyal, to respect every person, to have a sense of justice, to be true to their word, to be genuinely compassionate, to be men of integrity and, especially, to be balanced in judgment and behavior…. Of special importance is the capacity to relate to others. 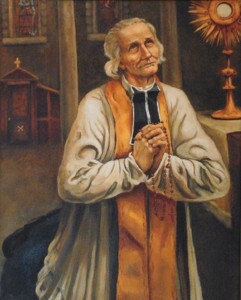 This is truly fundamental for a person who is called to be responsible for a community and to be a “man of communion.” This demands that the priest not be arrogant, or quarrelsome, but affable, hospitable, sincere in his words and heart, prudent and discreet, generous and ready to serve, capable of opening himself to clear and brotherly relationships and of encouraging the same in others, and quick to understand, forgive and console” (PDV, 45).